Disney Junk Food Ban – Revolutionary or a PR Stunt? In the words of Bugs Bunny, "What's up, doc?" Well pretty monumental stuff in the world of cartoon actually. 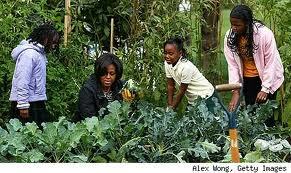 Mr Disney is working with American First Lady Michelle Obama, to ban junk food advertising by 2015. Depending on what side of the fence you are on, this might sound like a clever way to get our kids to think outside the box, in this case the television box, but a more cynical view is that Disney are embarking on a sneaky PR stunt. Whatever your stance on Disney’s new campaign, banning junk food advertising has to be a positive move. Mrs Obama certainly believes so and is working tirelessly to promote the revolutionary policy. Disney’s new move will come as very welcome news to the parents of the 27% of UK kids who are either overweight or obese. With an increase in high energy, low nutrient dense snacks, 'adult diseases' are more common in children than ever before. Type 2 diabetes is no longer a disease of overweight adults and an increasing number of children are receiving the diagnosis. Not enough has been done to address the child obesity epidemic which has been literally staring us in the face for the past 20 years. The unfortunate fact is that in some cases children are literally eating themselves into an early grave. Television is a massive role model for children, so why not use it to promote healthy eating. Take inspiration from some of our favourite caricatures of the past; Popeye, Banana Man and Mickey Mouse come to mind. They communicate a positive message to children about eating healthy foods like cheese and spinach. Decades after these cartoon characters were created isn't it time we had a new superhero who gains their strength from eating fruit? Children are massively influenced by television, so I for one say well done Walt Disney, thank you for taking a stand. Positive publicity for the move is well deserved; the company is the first major media company to ban junk food advertising on programming that targets children and that is a true example of corporate responsibility. Parents are happy to finally see one of their children's role models sending out a positive message. On 14th June 2012, a poll carried out by the Australian National University found that more than 75 per cent of Australians support a ban on junk food advertising during children's television programs. Are you listening Nickelodeon?